Lewiston, NY - Boy Scout Winston Mullen, 12 and Robbie Gilbert, 13, trim a tree that was just sold. 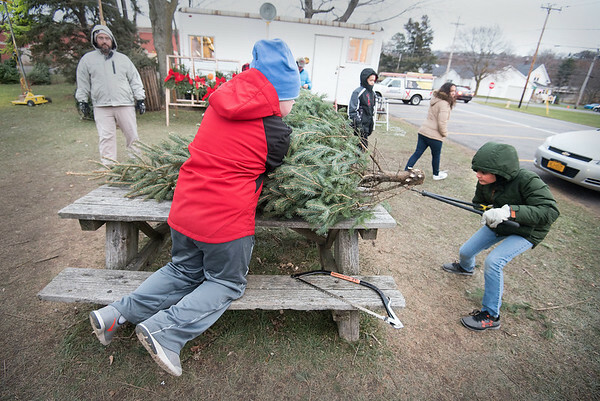 Boy Scout Troop 855 are all set up for their annual tree sales at Academy Park in Lewiston. The lot opens at 4 p.m. during the week and 9 a.m. on Saturday.